Ford Parts Specials | Preston Ford Inc.
*Accessories may need to be ordered. See your Parts or Service Advisor for details. At Preston Ford, Inc. in Burton, OH, we want to make sure you can find all of the parts that you might need without spending too much for it. For the most reliability, we recommend that you choose genuine manufacturer parts over aftermarket or off-brand parts. If you trust Ford as a manufacturer for your vehicle, then you should trust the parts and accessories that they can put into your vehicle. 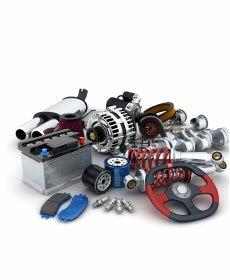 We offer many specials on our genuine Ford parts and accessories, providing you with the best price and performance. Our specials discount some of the most essential parts like spark plugs, filters, brake pads, and even some of the nonessential parts that you want to make your vehicle fit your style. Being so near Painesville, Chardon, and Chagrin Falls puts all of the most reliable parts only a short distance from our customers. We have a wide selection of parts for you to choose from, and we can order a part for you if we don't currently have it in stock. Our goal is to make the process as easy as we can, making sure you don't need to go to many different stores to find the perfect part. You are encouraged to visit us soon so that we can get you started towards the parts that will keep your vehicle exactly as you want it to be. We will do everything that we can to help you find exactly what you need. Directions to our dealership are easy to follow, especially from the Aurora, OH, and Middlefield areas, and we look forward to seeing you here!